The Friends of the National Numismatic Collection is a select group of collectors, numismatists and philanthropists who share a passion for the history of money and the NNC’s critical role in bringing those stories to the world. Together, they are committed to providing essential funding needed for the Museum to invest in the collection’s future and ways to inspire and cultivate the next generation of collectors and numismatists. Each gift helps preserve and care for the collection’s fragile treasures and the production of world-class education programs for millions of visitors. This engages the public in the work of the numismatist and inspires individuals to consider the value of money as a means to explore history and culture. The Friends of the National Numismatic Collection also help make objects and scholarship more accessible to visiting researchers, coin-collecting communities, and online audiences. Furthermore, they serve as advocates within their communities, encouraging visits to the Museum’s numismatic collection and support of this extraordinary institution. Support the Museum’s efforts by joining the Friends of the National Numismatic Collection. Join today or contact Rachel Wood at (202) 633-3927 or email to learn more or request a brochure. The Smithsonian’s National Museum of American History is home to the National Numismatic Collection (NNC) — the world’s largest assemblage of monetary objects and one of the oldest and most treasured collections in the Smithsonian. 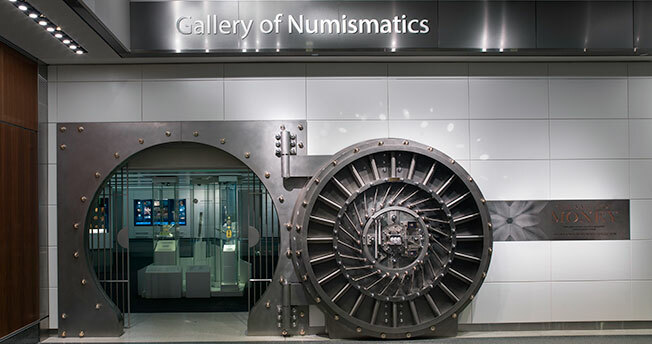 The NNC contains more than 1.6 million coins, tokens, notes and related objects from the U.S. Treasury, the U.S. Mint, and the U.S. Bureau of Engraving and Printing, as well as private collections generously donated to the Museum. With a new exhibition space and an expert team of curators with a long-term vision, the NNC has an exciting future at the Smithsonian. The Museum is grateful for the Friends of the National Numismatic Collection who invest in that future. 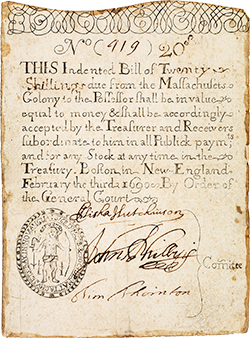 In July 2015, the Gallery of Numismatics opened at the National Museum of American History. It will showcase the richness, depth and diversity of the National Numismatic Collection for 20 years. Located in the Innovation Wing on the first floor, the gallery features some of the world’s rarest monetary objects spanning more than 2,600 years. Through this permanent space devoted to the study of money and history, the Museum hopes to instill a better understanding of the role coin collectors and their collections have played in shaping the National Numismatic Collection.